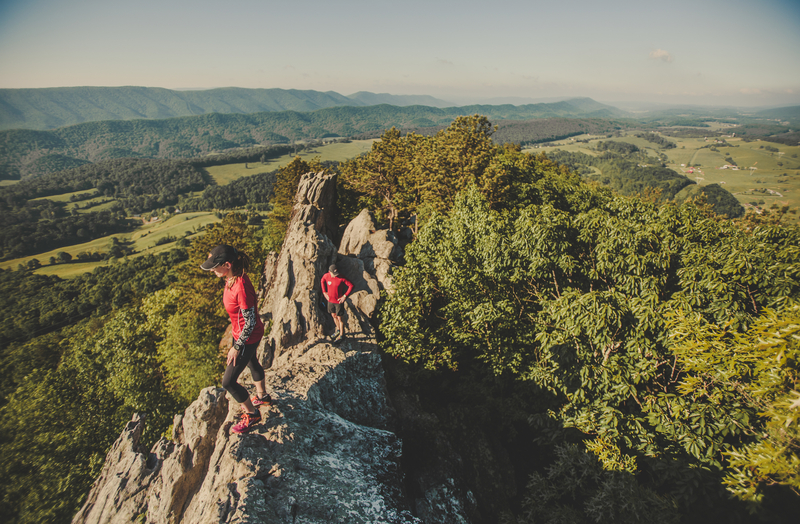 You don’t have to wander far from home to experience some of the best hiking on the East Coast, with dozens of trails right here in Roanoke. Chances are there’s a trail head within a few minutes of your location from anywhere in the city. So leave the asphalt, cars, and noise behind and lose yourself on one of these trails. Not sure where to start? Here are three trails we know you’ll love. Carvins Cove Nature Reserve is the second largest municipal park in the nation. It holds a major water source within its 12,700 acres and overflowing recreational opportunities including hiking, biking, fishing, and boat rentals. The 11,363 acres of Carvins Cove is protected by the largest conservation easement in Virginia’s history. There are more than 40 miles of multi-use trails. 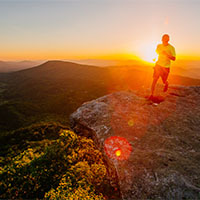 The Explore Park Trail System, located off the Blue Ridge Parkway, is a 1,100-acre preserve situated along the Roanoke River Gorge with a variety of hiking options. Trail options ranging from less than one mile to 10 miles – many of which are loop trails. 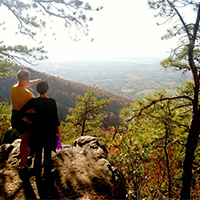 Read Mountain is a 243-acre Roanoke County park with a 3.8-mile round trip out/back hike from the parking lot to the Buzzard Rock summit. This is a moderately difficult hike and you are rewarded with a spectacular view of the valley from the summit. 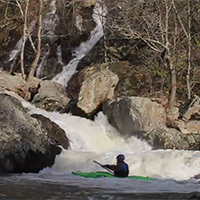 Forming the headwaters of the Roanoke River, Bottom Creek Gorge boasts spectacular scenery including the second highest waterfall in Virginia, virgin hemlocks, and hundreds of wildflowers. NOTE: Dogs are not permitted at Bottom Creek Gorge Nature Preserve. Buck Mountain Trail is a very short trail that takes you away from the parking lot and instantly into a virtually untouched spot in nature. There are rocks to climb, trees to explore and wonderful spots to sit and listen to the birds around you. Buck Mountain Trail is located in the upper parking lot of Roanoke Mountain Loop Road, located off the Blue Ridge Parkway at Milepost 120. The Chestnut Ridge Trail is located along the Blue Ridge Parkway. It is a wide and well-graded path lined with mountain laurel and rhododendron and includes a 5.4 mile figure-eight loop trail that can be shortened to 2.5 or 3.4 miles. The easy to moderate trail is just 10 minutes from Downtown Roanoke and is also adequate for horseback riders. 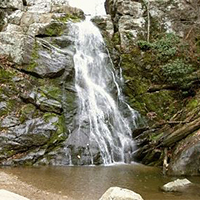 Dismal Falls is a 15-foot, multi-tiered waterfall on Dismal Creek. It is easily accessed from the road or from a side trail off of the Appalachian Trail. Dismal Creek is about 50 feet wide (depending on water volume) at this point as it flows down over several ledges. The ledges on the left side of the falls are step-like while the middle and right ledges are more of a straight drop. In lower water, the middle and right are not covered and the stream is much narrower. Despite the width of the stream, the waterfall is not particularly open with trees lining each bank and throwing much of the falls into shade most of the day. 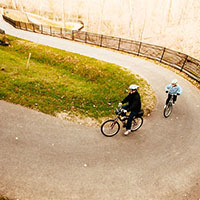 Greenways are open-space corridors reserved for recreational use or environmental preservation that connect urban centers. Most greenways can be found along rivers, across ridgelines and along other scenic or historic routes. 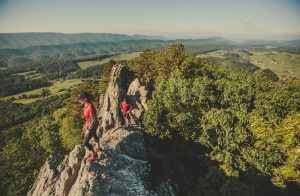 These spaces often have hiking or multi-use trails, which help link Roanoke’s natural beauty to its charming neighborhoods and vibrant downtown. 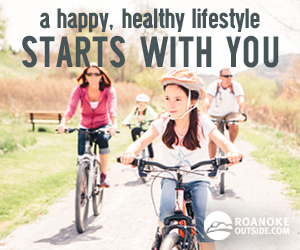 There are more than 30 miles of greenways throughout the Roanoke Region. 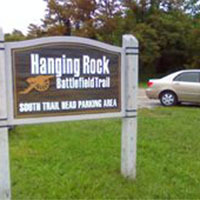 The historic Hanging Rock Battlefield Trail offers a touch of local and national history, as well as a pleasant place to walk off lunch. Many wildflowers grow along the trail. A simple cinder trail winds along the edges of Mason Creek. This rails to trails form allows for quiet solitude away from the traffic. The trail is popular with walkers in the afternoon. Look for falling rock, historical markers, and flowers and berries. Less than 5 minutes from downtown Roanoke, Mill Mountain Park offers incredible mountain biking (9 miles) within 5 minutes of downtown Roanoke. The trails encompass Roanoke’s highest point – the summit of Mill Mountain (1,703 feet) and the Roanoke Star. 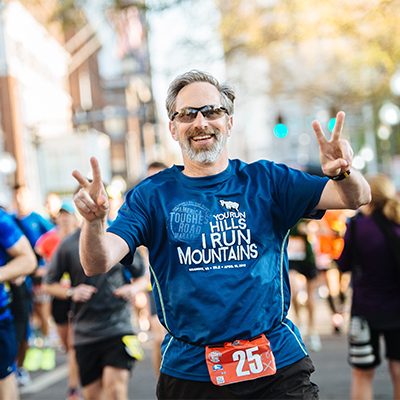 This area offers 900 acres of parkland atop Mill Mountain, picnic areas, two overlooks that provide 20-60 mile vistas, access to additional hiking trails, the Mill Mountain Zoo, and Mill Mountain Discovery Center. 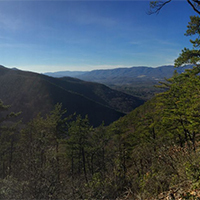 Poor Mountain Natural Area Preserve protects the world’s largest population of the globally rare shrub piratebush, which is restricted to only a handful of sites in the mountains of Virginia, Tennessee, and North Carolina. The “Wednesday Trail Crew,” a group of volunteers led by Bill Gordge and the Roanoke Valley Pathfinders, constructed more than 1.5 miles of the trail system at Poor Mountain. While the 0.75-mile Piratebush Loop interpretive trail affords a relatively level and easy hiking opportunity, the main loop trail affords a strenuous 3.8-mile hike with over 500 feet of vertical drop and return climb. Stone stairs, scenic vistas, fire ecology, and outstanding looks at Table Mountain pine woodlands make the Poor Mountain Trail a great recreational resource. Hiking the loop in a counter-clockwise direction provides the easiest hike. Hike in a clockwise direction if you want more of a challenge. 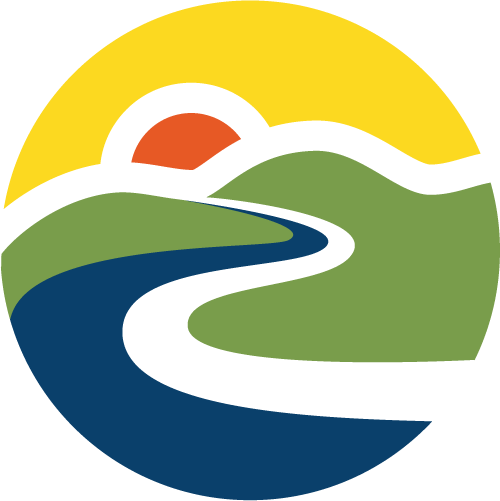 Read Mountain is a 243-acre park in Roanoke County and one of the county’s largest passive recreation areas. The park includes a 5-mile trail system with moderate to strenuous levels of difficulty. 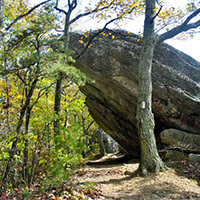 The main feature of the park is a 2-mile trail to Read Mountain’s summit, known as Buzzards Rock. The view from the top is one of the best in the Roanoke Region. 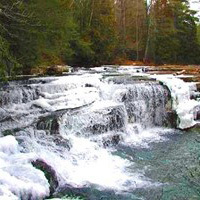 Stiles Falls is a 40-foot waterfall located on Camp Alta Mons property. The trail is closed to the public while summer camp is in session. The hike is about 3 miles long. From the camp office, walk up the road past the swimming pool, the retreat center, and the pond. Continue along the dirt road until you come to a sign indicating “Falls.” Follow the trail to the falls crossing the creek three times before reaching the falls. The trail is marked with white blazes.